Heading down to the south Jersey Shore? Will you be visiting Avalon, Stone Harbor, Wildwood or the Cape May area? Do you enjoy playing the game of miniature golf? If so, you'll want to head to the Duffer's Challenge Mini Golf in Wildwood, New Jersey. Duffer's is a combination of full-service restaurant (serving breakfast, lunch & dinner), an ice cream parlor (serving homemade ice cream) and an 18-hole miniature golf course. Everything in one location for a fun, family outing while at the Jersey Shore. 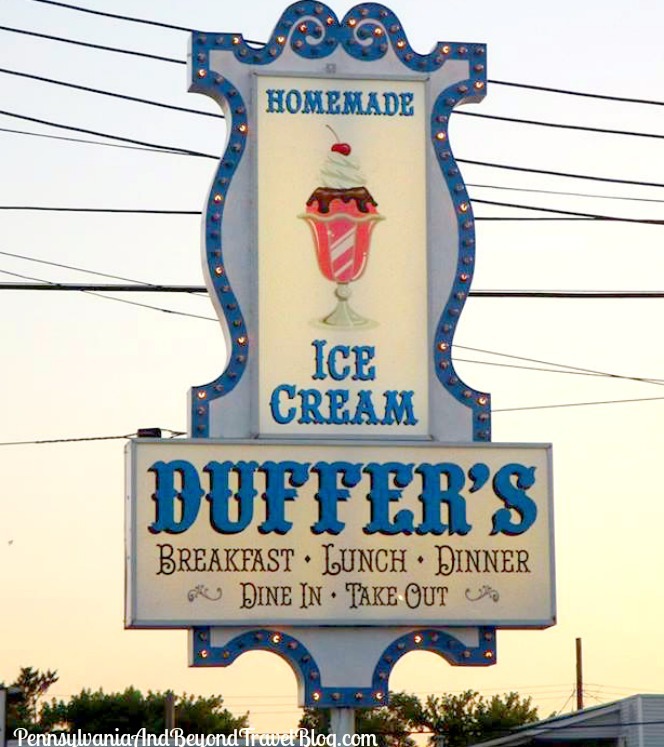 You'll find them located at 5210 on Pacific Avenue in Wildwood. 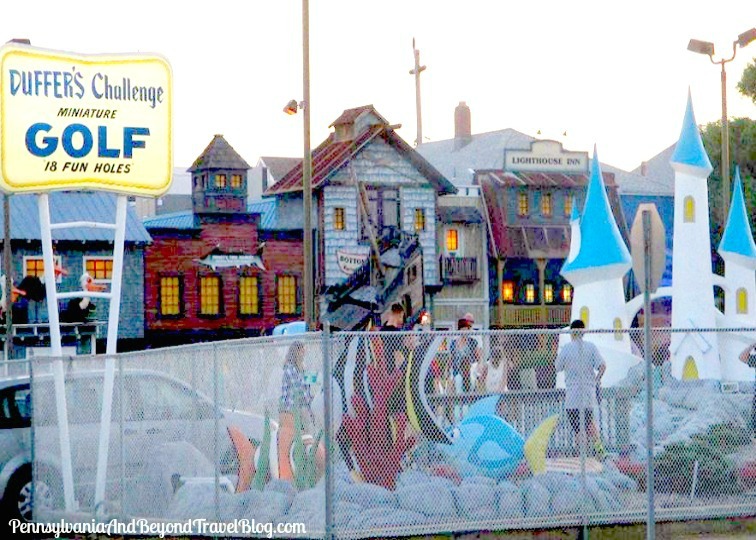 Their mini golf course has 18 fun, but challenging holes and is done in an underwater sea & ocean theme. This is one of the BEST miniature golf courses in the area with animated and moving obstacles that are fun for the entire family. Our 2 grandchildren love playing here! This is a very popular miniature golf course to play by locals and visitors to the island. If you want to avoid crowds, try visiting during a weekday afternoon or early evening. During the in-season weekends, it can get extremely crowded with long lines. Dress appropriately and wear comfortable walking shoes for the best experience. From start to finish...it took our party of 3 adults and 1 child approximately 70 minutes to play the entire course. On the day that we were there...they were moderately busy, but not overly crowded. Once we were done we headed to their ice cream parlor and enjoyed ice cream cones and sundaes before heading back to our hotel. 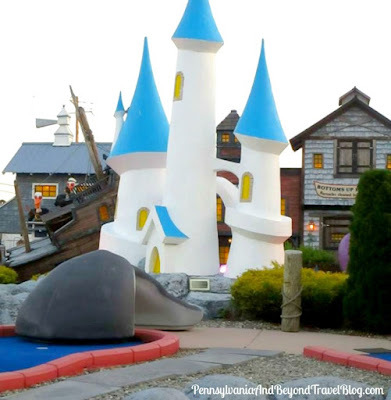 Looking for more places to play mini golf in the Wildwood area? You can find several reviews and recommendations right here on our travel blog and make sure you check out our mini golf board over on Pinterest for some fun ideas too!